Dyna Flex sewer jetting and sewer cleaning hoses are engineered and manufactured to be flexible and resistant to kinking and abrasion. 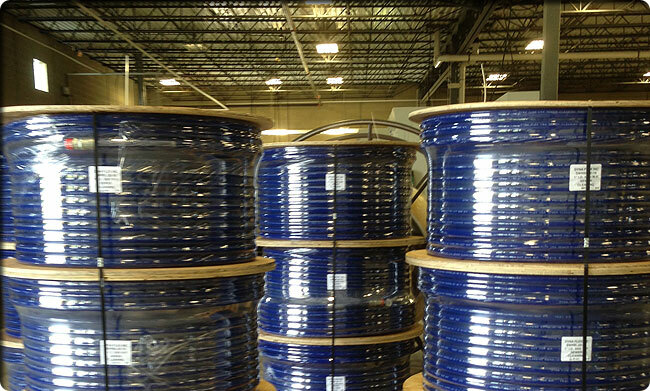 Dyna Flex sewer jetting and sewer cleaning hoses are designed with a double-braided and double-bonded construction. Combined with a slick surface, Dyna Flex sewer jetting and sewer cleaning hoses are manufactured for superior performance. Competitively priced and built for durability, Dyna Flex hoses are the optimal choice for the sewer jetting and sewer cleaning industy.